Still doing the Revs word series. Took me a while to get ones done this year, largely because of that whole Brazil thing, but these have been up at Gillette since September. Daigo Kobayashi, “Skill.” Love this Kari Heistad shot so much I broke my rule about not using source images from losing games. 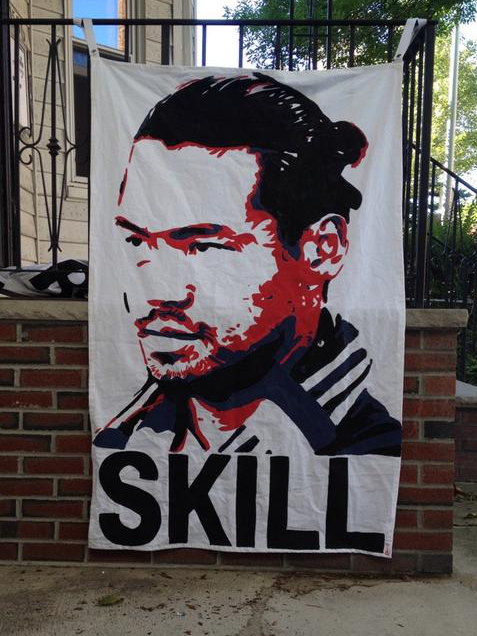 Great portrait of a solid, underrated player. 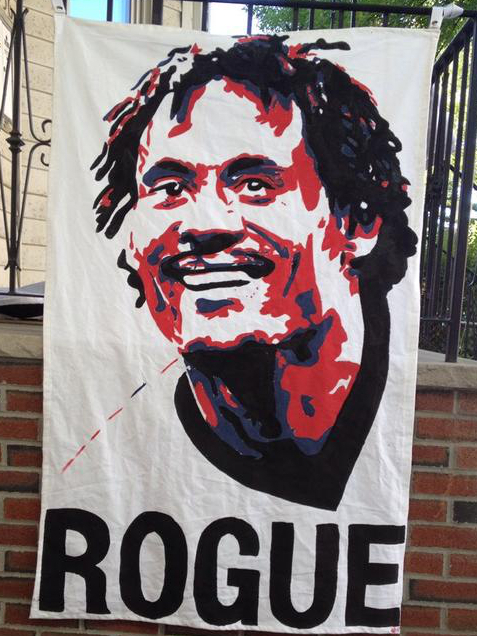 Jermaine Jones, “Rogue.” I still can’t believe this guy plays for us. “Rogue” admittedly isn’t always a positive word but it’s the right one for a guy who plays on his own terms. 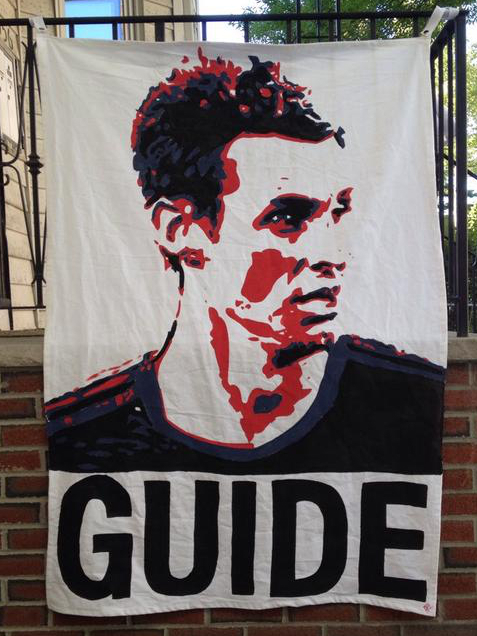 Andy Dorman, “Guide.” Wanted something to express friendship and support, the elements a guy who’s gone overseas and come back to his rookie team contributes. So glad he’s back. 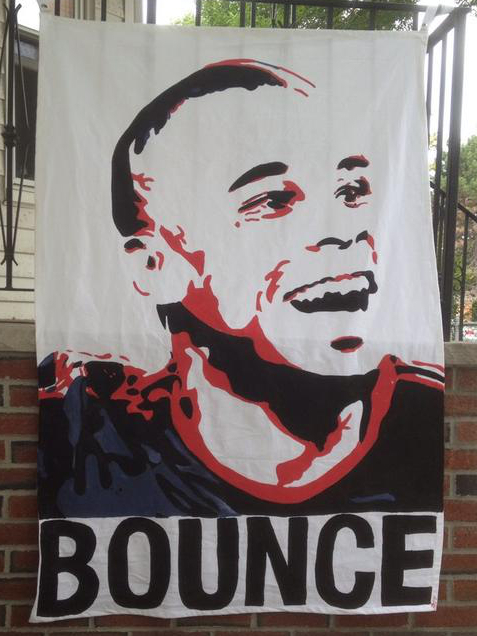 Charlie Davies, “Bounce.” For his dance style celebrations, but more because what else to say about this guy than “comeback.” Man, do I love having to do a banner for him that is not for depressing reasons. 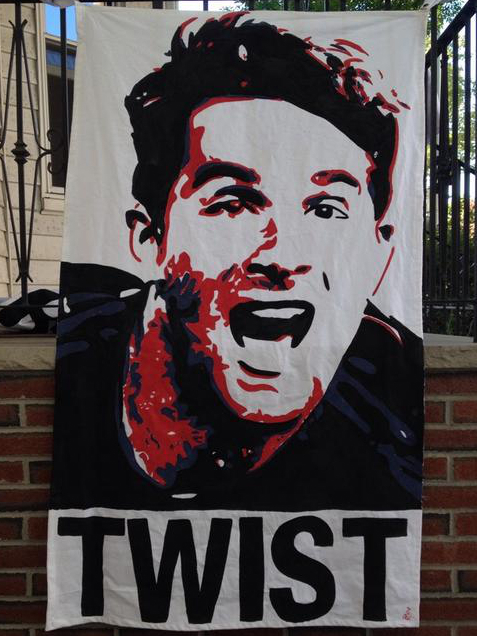 Patrick Mullins, “Twist.” That little extra spice from this year’s rookie banner, suggested by my buddy Adam. 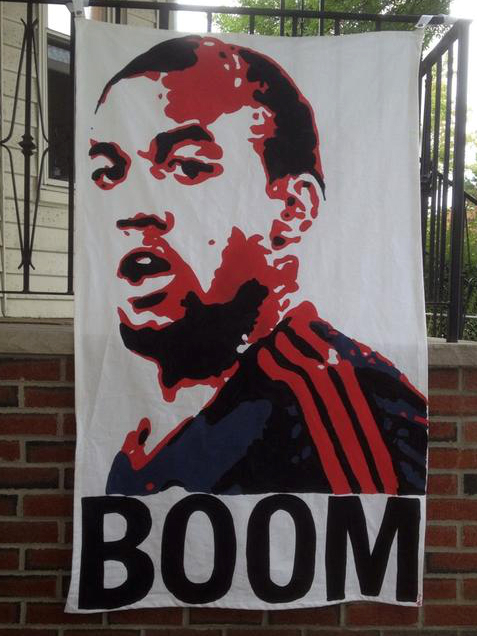 Teal Bunbury, “Boom.” Like the goal call for his first US appearance. This entry was posted in finished projects, revs, words. Bookmark the permalink.